This is my last review on products from Revoltec's gaming gear lineup. Earlier this month I've already published a review on the Precison Pro and Precision Advanced mousepads, along with a test of Revoltec's FightMouse. These products performed pretty well and most of them are available at a fairly low price. 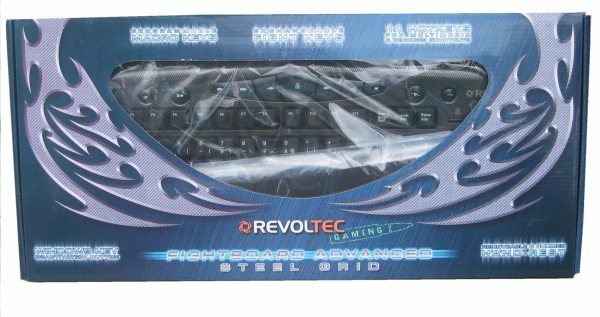 In this review I'm taking a closer look at the Revoltec FightBoard keyboard, this is a keyboard specifically designed for gamers. The FightBoard Advanced ships in this blue box which features some tribals. The front has a see-through window and the back features lots of information about this keyboard. 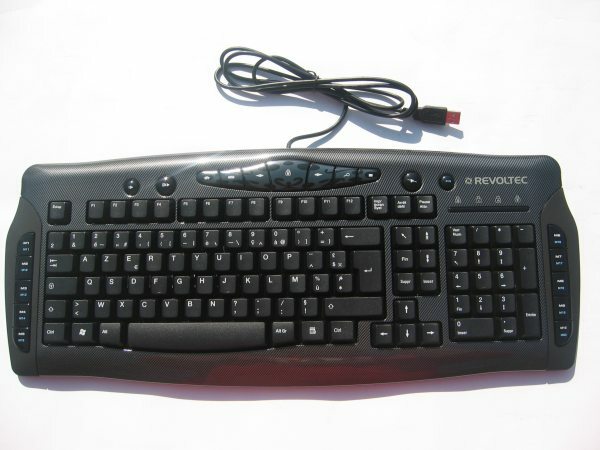 The keyboard is black and just like the Revoltec FightMouse Advanced gaming mouse it features a carbon-like look. This is quite subjective but personally I think the keyboard looks pretty good. 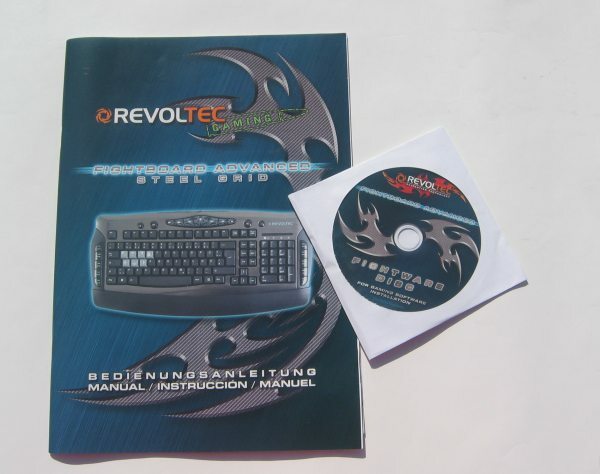 The FightBoard advanced also ships with a quite detailed manual and a CD ROM with the software to activate the special function keys. Most keyboards from Logitech are pretty good IMO and they have lots of good keyboards that cost less than $50. If you really need all the programmable keys you can take a look at the Logitech G11, I haven't tested this keyboard yet but it's priced around 50EUR and has lots of programmable keys, multimedia features and key illumination. I suppose you are looking for a FightBoard with a Belgian AZERTY layout? 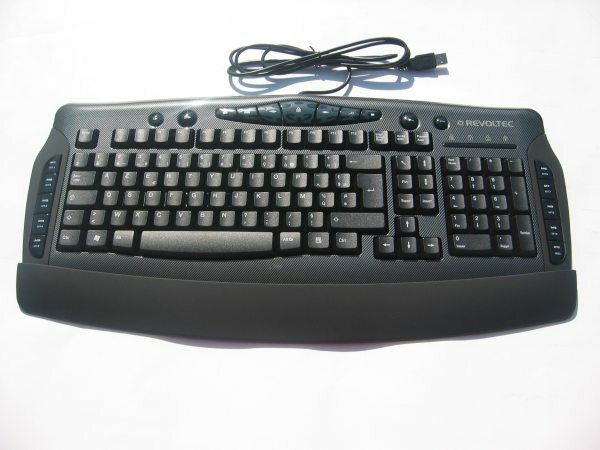 When Revoltec asked me to review this keyboard I asked them if they had a FightBoard with a Belgian AZERTY layout but their PR person told me they didn't have these in stock because they aren't selling their products in Belgium yet. They do have FightBoard keyboards with a French AZERTY layout but the text on the buttons of that layout is in French and two or three of the punctuation buttons are different than the Belgian layout. I really wanna buy this keyboardn its the only one that i like..